Subject description: Gets so thrilling the longer I think of it! So I reckon that you've all seen the Side 4 trailer for Mental Omega many days ago. The first time I've seen a YR mod make another faction from the usual three, as almost all C&C games sticked to. As I watched the said trailer, I immediately took notice of some additions in the game. -Side 4, of course. Obviously they came from the future, so high-tech technology even higher than the Allies is their key. I cannot say aliens, as everyone was screaming high. -Harbinger Gunships as the Side 4 bombers. I reckon it might have the same voice-sets as from RA3:U. -ImP_RuLz's APU/Exoskeleton as, probably, the Side 4's basic infantry. Pretty OP for me at least, they're using an gigantic M60A1 LMG, about 5 times larger than the GI, Conscript and Initiate's main weapons. -Gigantic tanks in the Chinese base. They look like oversized T-80MUs, I guess it's the Tier 4 to the Catastrophe and the Apocalypse? -An warphole-like structure in a certain Soviet base. -Long-winged VTOL aircraft with an bottom circular aura, and I see comets/meteors(?) crashing around them. I guess it's an aircraft that can send meteors from space the same with the Thor calling lightning even from clean skies? -Side 4's mainly fighting Soviet and Epsilon forces. Their relationship with the Allies? Yet to know. -One particular individual said a very plausible theory. The Side 4 is named the Consortium, and I remember seeing the same faction, although in full white, in another mod. The three subfactions are the FutureTech, Kanegawa Industries and SteinsTech. This is where the thrill starts. I have kept thinking that Side 4, or the Consortium forces will be the Allies' new hope. Looking back into Act One, the Allies have almost lost the war against both the Soviets and the Epsilon, although both enemy factions are fighting their own wars as well. So the Side 4 forces have come to help the Allies get back to their feet. Add to that the confirmation of the Consortium forces being hostile against the Soviets and the Epsilon. Obviously they are the tech providers of the Allies. It comes to mind that, taking that theory up, Side 4 is the future selves of the tech providers, hence the cutting-edge, eye-burning technology they possess. This is so far I have thought about Side 4. Feel free to clarify or add more light to this topic. Thanks lots~! A lover of large tank battles. Nothing satisfies me better than many tanks brawlin'. They were called the Consortium from the Original Author's Mod. In Mental Omega they're named [redacted]. They're not from the future unless Speeder is pulling another one of his trolls. The Thor has a miniaturized Weather Machine as its main Weapon in MO. There we go. If they're not from the future... That's also plausible. With those three tech providers combined, it's not surprising with regards to their technological advantage. Yeah, I know the Thor has a mini-Weather Manipulator device, but I just can't stop thinking that such an large aircraft can create lightning in even the clearest of skies. Add to that what will happen to Thor Gunships if they happen to be around the area where a Weather Control Device unleashes it's fury? Hehe. I know, right? Those thoughts easily sled through my mind as I saw that theory. I'm a loyal Allied commander, so I'm over-the-top happy thinking the facts. Why don't you post this on the MO forum? More likely to get wider response there and from the mod team. I'd rather have seen an earlier balance / fix patch that also makes the damned campaigns playable for non-masochists, instead of waiting more then a year for a 'new' side which also happens to introduce all of the before. There's no FutureTech in Mental Omega, I don't quite understand where that idea came from. My guess is that it's probably a section of Allied scientists tired of those stupid restrictions on their research and the military-industrial complex shilling outdated weapon systems to the Allies when they could build fancy future weapons and deciding to go their own path. Alternatively, it's "CABAL". Except this time made by the Allies. Actually, since the Allies pretty much function identical to the Brotherhood of Nod, it's probably "CABAL". There is one? I'm new here, so I don't know how to go around, yet. Sorry. That's one request all MO players were yearning for. Not everyone can handle the Mental difficulty plus there's no load-and-save options, making every mission a now-or-never mission. 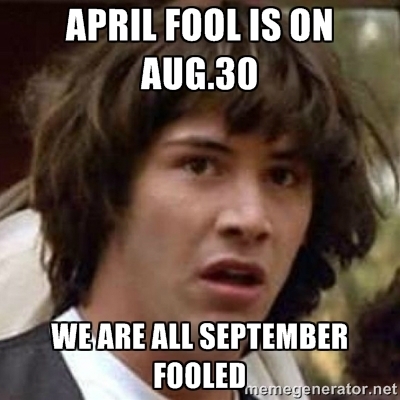 That's why I said it's a plausible theory. One commenter in your Side 4 reveal trailer said those details I've written above, and I only added up on what I have thought of. Of course it's a theory, so it may be true or not, or partly true or not. If FutureTech does not exist in the MO universe, then who could be the tech provider of the United States? I know that they have large production facilities in mainland USA and they have a lot of reserves from previous wars, but there's got to be one agency that supervises all of these. That's... another plausible theory. You mean Allied scientists that went rogue from the Allies and created a whole new army just by their research? Sounds pleasing to my ears. No one really knows the faction's name until Speeder gives details in the next update. Question though, seeing the last sentence, how is the Allies operate similar to the NOD? Take this as a question from a loyal Allied commander. Question though, seeing the last sentence, how is the Allies operate similar to the NOD? Take this as a question from a loyal Allied commander. Weak fast units, hightech experimental technology. The Allies are pretty much Nod. It's even clearer in RA1, where (chronologically speaking) half Nod's catalogue comes from the Allies. but IMO Nod unit list not flexible to design like Allied. they have too many iconic unit on their side leave no room for new idea since if you remove one of them they make them not feel like Nod anymore. while Allied list can be anything just stick with "hightech good guy" concept and give some with Chrono. the right explanation is any faction that have nice green and black explosions + some advanced techs to kill most of kirovs "Firestorm" will be considered as they are from future. The buggy is comparable to the ranger, the bike is similar to the IFV. Nod uses the same artillery as the Allies in RA1 and TD. Also prism tech and laser tech is roughly similar. Also, the stealth tank from TD and TS is based on Allied technology from RA1, the Phase Transport, an invisible APC. But allied don't need Ranger or IFV to make it feel Allies their list can be anything while Bike and Buggy is must have for Nod design. Allied artillery away more flexible than Nod easier for offensive propose while Nod Artillery focus on defensive by design. Allied IFV have better function than bike but his missile lack of effect vs heavy vehicle compare to Nod Bike. both factions also have some different technology yes allied also have some stealth but they never rely heavy compare to Nod. - Allied have Nuke just for balance MP but not their iconic weapons. - Information warfare better than Nod thank to power as super power nations. - Any kind of mad science technology developer can think of. while Nod design limit around these kind of Tech which why each of their weapon feel more characteristic than Allied. - Advance Stealth like Stealth Generator. IMO Nod is more like another side in same coin to Allied they're fast their High tech but still not the same. Hmm. Okay, I may agree on the fast, mobile units NOD and the Allies has, but as Holy_Master mentioned before, they have some iconic units that scream NOD. Similarities here and there, but only on the classic RA1/TS. Everything has changed when Cherdenko messed the timeline, two times. Anyway, does those walls that inject steam into the air are the Firestorm walls? Sorry, I did not play any game within the Tiberium universe, I started with Red Alert. Now I have all three (Aftermath, YR and Uprising). I second the last sentence. It's what I said above, da? Waaahh, that sounded like music to my ears~. Pardon me being a fanboy to the Allies, I just love playing most of the time as them. 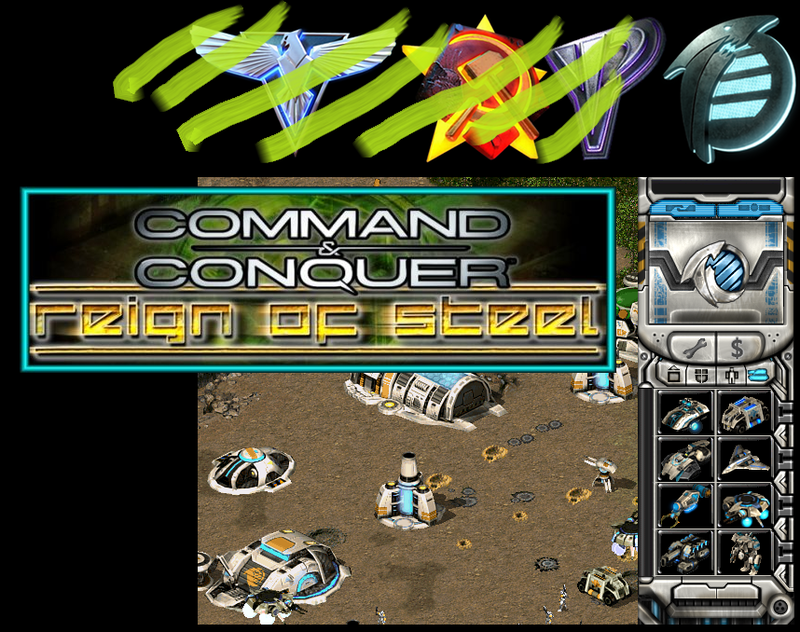 yes, Reign of Steel one of the best mod of the planet!!! and Holy_Master the great!